Fabio Capello fears England's players can forget any hope of glory at Euro 2012 if they arrive in the same state as they did for the World Cup. Capello learned on Friday that he will not pay for the Three Lions' failure in South Africa with his job, leaving him clear to take charge of a European Championship qualifying campaign that starts against Bulgaria at Wembley on September 3. Before that, England have a friendly with Hungary on August 11, when big changes are expected. 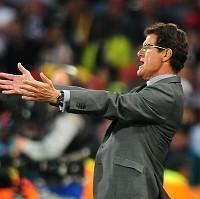 Capello now has the task of regenerating the side, but he is dubious about progress being made unless some way is found to lessen the effects of draining club campaigns. "If we arrive at the next tournament fresh, yes, we have a chance," he said. "If we arrive tired, no."